$170M MH Deal. Sec Carson HUD Surprise. 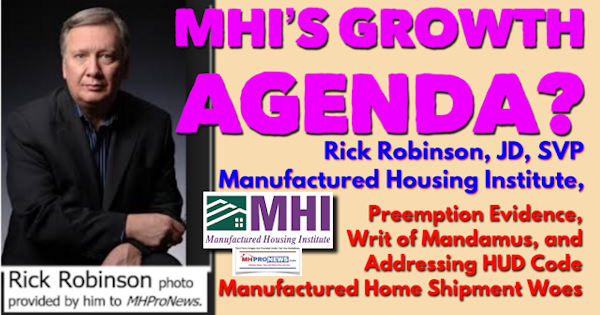 MHI SVP Rick Robinson. Sheila Dey-Western MHCs & MH.Trump Praises Factory Home-Builder. Manufacturer Optimism. February 2019 Featured Articles are linked here. March Features set for 3.15.2019.